The IKEA product range focuses on delivering quality designs to everyone. It offers decoration solutions for every room of your home and appeals to everyone’s style. You’ll quickly realize how much of their designers and product development specialists are working to ensure you get what style you prefer, that your products meet daily needs and are cleaned from unnecessary detail. The basic idea of them products is the everyone can access these useful and stylish furniture. They are producing amazing products day and night for you. Their prices are perfect for now. If you are thinking about to renew your home, IKEA Flyer would be amazing for you. 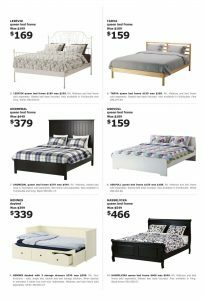 IKEA Flyer August 15 2017 – Multiple Choices! Today’s IKEA Flyer August 15 2017 welcomes you with the best deals and whole new ideas to design your home! IKEA has always gives us the best and colorful ideas to design our home and today’s flyer is basically full of those. 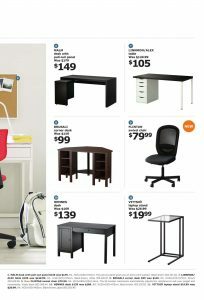 In today’s IKEA Flyer August 15 2017, you can find the best options with lowest prices, so if you are looking for a new desk, sofa, bed or anything that might feel you better, than you might want to check today’s flyer right now. For example, award-winning table Lisabo just dropped it’s price $139 to $118, so if you are looking for a new study room, or looking for a matched desk for your coffee table, than you might want to check out the front page. Other pages also has many good deals and ideas, so do not forget to check those out too! All desks are %15 off for a limited time, so be quick and take what you need while you can. You can also add more detail to your room with Fiskbo and Björksta frames and many cool pictures. Now, let’s see the editor’s choice for best deals! IKEA Flyer August 15 2017 Has Multiple Choices! Today’s IKEA flyer has many choices on countless items which is a must for every house. In it, you can find the best deals on work space accessories such as Riggad LED work lamp or Dokument latter tray. As we said before, all desks are %15 off for a limited time, so you might want to check out Malm or Berkant too. Now, lets see the best options on today’s IKEA Flyer August 15 2017! These are the best deals but you can always check for more by just clicking the right hand side image. Also, please do not forget to be our subscriber for daily updates! See you on next deals! 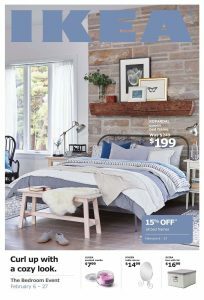 Today on IKEA Flyer February 22 2017 – (ON) you can find the best deals on beds and bedroom accessories ! IKEA is the one of the best and cheapest places to find that kind of items so if you were looking some kind of it, IKEA is the place ! On today’s flyer, there are also good discounts on bed frame models such as LEIRVIK (queen size), ASKVOLL (queen size) , HEMNES (daybed) and HESSELVIKA (queen size). There are also good deals on accessories such as lambs, mirrors and storage boxes. You can also buy mattresses so basically if you need anything related on bedrooms, this flyer is all you need to look at ! Now lets see the best deals on this flyer ! Today’s flyer offers you the best nap you can take, so if you need any good night rest be quick to check all of those deals right now ! 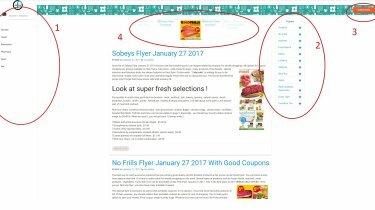 We listed the best deals on this flyer bu you can see the whole flyer by just clicking the right hand side image ! This is the end of out list but deals on IKEA won’t end here, so remember to check out all those deals and please subscribe our mail list for more deals and flyers on countless retailers, see you next time !